And now she wants Fox News punished for reporting that statement in Fox News Insider. Nobody “spliced” anything. Obsessed? Dream on. Their article was intended to show her lack of knowlege about how government really works. She’s had other faux pas remarks too, like not having any clue whatsoever how the unemployment figures are calculated. And she supposedly has a secondary degree in Economics. Wait…isn’t employment an excellent way for the poor to get a leg up in life instead of hand out? Thought so. Justice for all does not mean handouts for all. The U.K.’s overbearing government did find Fox News in violation of Ofcom rules over impartiality since they said the network did not “sufficiently reflect alternative viewpoints,” according to the BBC. 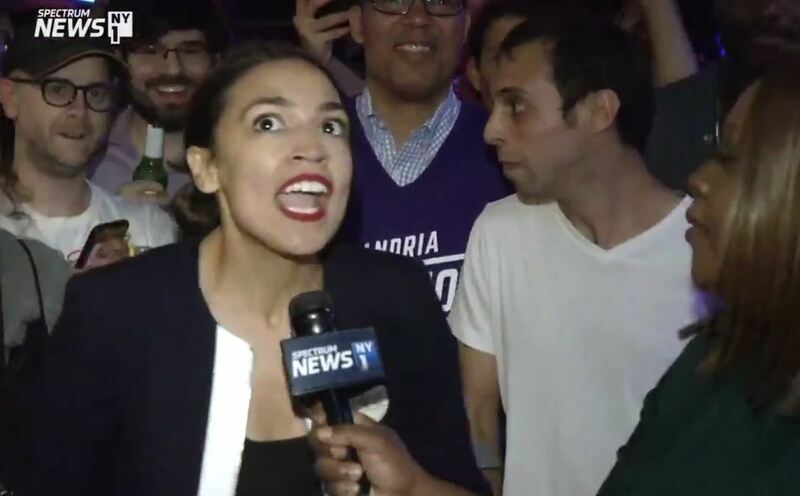 Alexandria Ocasio-Cortez is a mover and shaker for the handout society, but has no idea how to pay for the massive programs she has proposed. There is no personal dignity in being handed everything in life – but there is a lot of it in earning your own way.